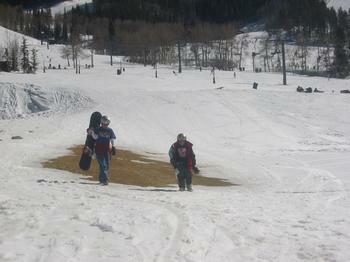 The Gotham Gal and Josh head home after a hard day of riding heavy spring snow. Notice the patch of grass showing through. A few more days like this and the whole mountain will look like that.